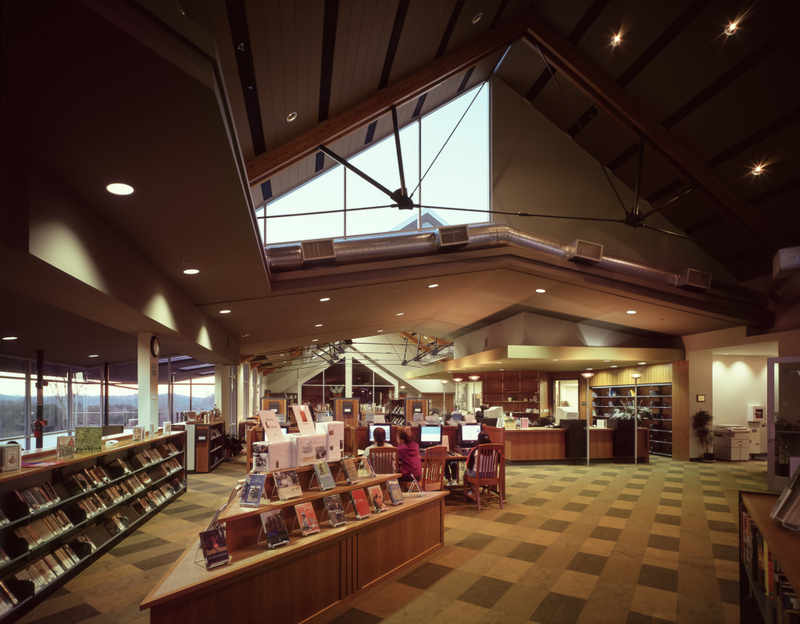 The Valley Center Branch Library, part of the County of San Diego Library System, consists of two separate buildings; a new 14,000 square foot Branch Library and a 1,500 square foot Local History Museum. 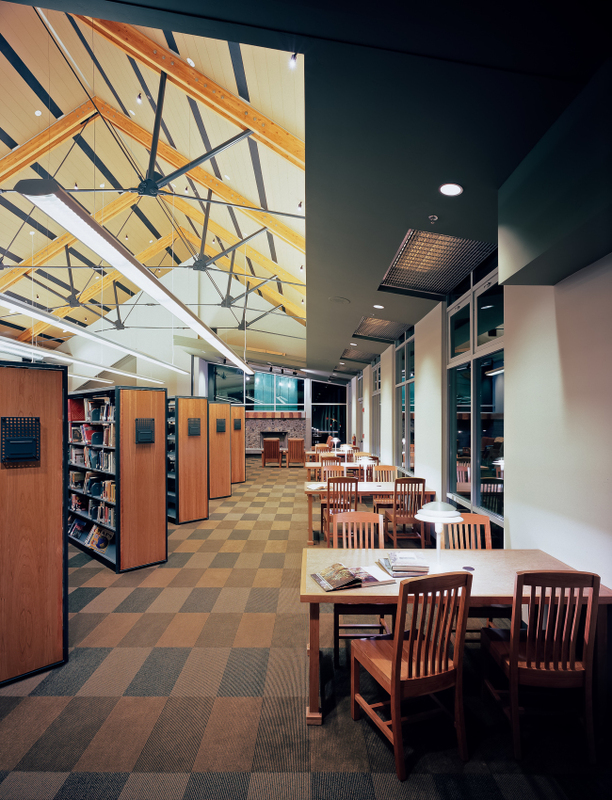 The Library includes areas designated for Children’s programs, homework and tutorial areas, Adult and Young Adult collections, a local history archive collection, reference areas, media collections as well as two Community Rooms and a “marketplace” concept. 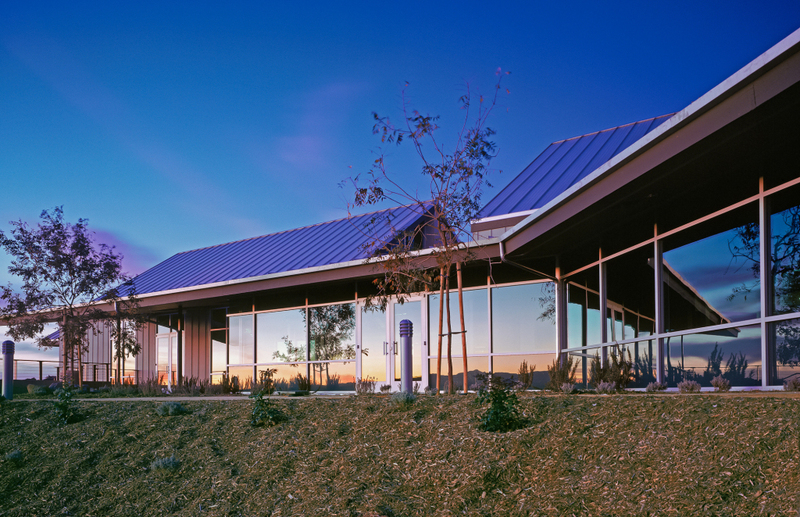 The project site was a rocky hillside, overlooking a large, agricultural valley that is the defining characteristic of the community with the modern development of rural estate and ranch projects. To save money and to create interest by working with (rather than blasting away) the rocks, a creative solution evolved. The project massing and forms evoke a cluster of agricultural buildings built around the existing exposed rock formation. There are steeper, vaulted (barn like) volumes, with lower slope overhang and shed forms attached recalling the rural forms. A roofed porch shades the expansive glass walls facing south and provides additional reading areas outdoors without adding costs to the project. Up close, the contemporary materials, open volumes and detailing reveal a very modern presence. 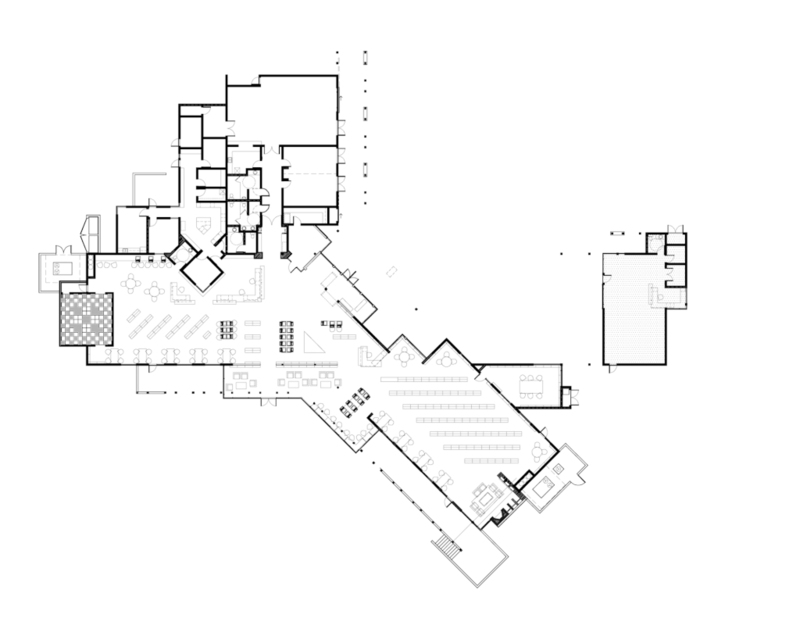 The interior layout of the building has an open plan with spaces defined by undulating ceiling lines and an exposed structural system. The project respects and reflects its contextual setting and provides residents with a space reflecting and anchored within their Community. 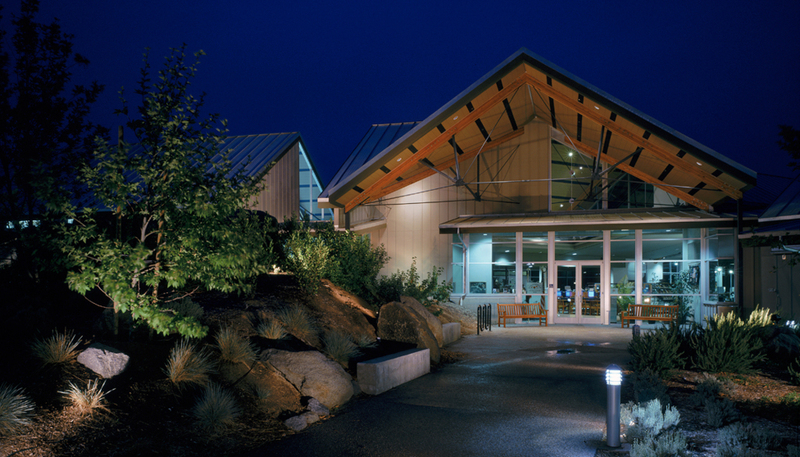 The library won a Citation Award from the American Institute of Architects.